Joann Eckstut is the author of three books. 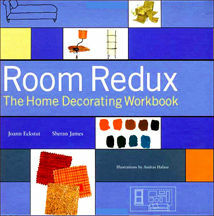 Room Redux: The Home Decorating Workbook, was first published in 1999 by Chronicle Books. A new edition was printed in 2005. The Color Palette Primer: A Guide To Choosing Ideal Color Combinations For Your Home was published in 2005 by Broadway Books, a division of Random House. 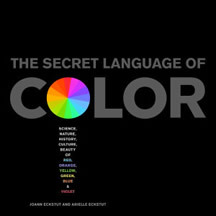 Her newest book, The Secret Language of Color: Science, Nature, History, Culture, Beauty of Red, Orange, Yellow, Green, Blue & Violet was published in 2013 by Black Dog & Leventhal.